Why should I hire NET? What are the advantages of a boutique agency? How does NET's experience rank? Are NET agents NBPA and FIBA certified? How do I hire NET? Am I allowed to talk to agents? Where can I read about NCAA rules regarding Agents and Amateurism? How do I change agencies? What services does NET provide? Who would handle my administrative tasks? Does NET manage money or prepare tax returns? How will NET market me? Does Net provide a trainer? What are my offseason or pre-draft housing options? As a rookie, would I receive a per-diem or line of credit? Can NET raise my value? What other income opportunities are available? Can I get a shoe deal? Can I run for-profit basketball camps? What type of marketing deals will be available? How can NET assist with my post-playing career? Do I have to finish my education? Could NET help me find a summer internship? How else can NET prepare me for life after basketball? NET clients are meaningful and strive to make a difference in this world. We unite a family atmosphere with unmatched professional experience. What really sets our boutique apart from the mega- agencies is that we provide full-time direct access to our top executives. As a boutique, we maintain a competitive edge by drawing all our attention toward basketball-related businesses. Our self-imposed limit on the size of our agency means that NET clients need not battle each other for roster spots or draft slots. We are free to aggressively market our clients without fear of repercussion from the odd man out. Our personalized services set us apart. Naiditch was mentored by George Andrews who successfully negotiated Magic Johnson's 25-year, $25 million contract with the Los Angeles Lakers, which was the highest-paying contract in sports history up to that point. Mike Naiditch touts a financial background and modern analytical approach popular among the younger GMs. Yes. Feel free to contact the NBPA or FIBA. Plain and simple, if you currently are or projected to be an NBA or Euroleague level player, NET will consider your interest. We place a premium on experience and character. Feel free to e-mail us with your name and contact information. We will respond only to qualified inquiries. Yes, but with some restrictions. For players with remaining amateur eligibility, the NCAA does not restrict simple contact, although state law may require an agent to notify a school's athletic department of such contact. For professionals with existing fiba agency agreements, contact is allowed, but agents can never approach a player who is under contract with another agent so as to persuade him to break his contract. Furthermore, players may not use the services of an unlicensed fiba agent or more than one agent at the same time. You may begin by reading the NCAA Publications "Guide to a Career in Professional Athletics" and "Questions to Ask a Prospective Agent." The NBA Uniform Player Agent Contract provides that either party may terminate the agreement effective 15 days after written notice of termination is given to the other party. The Fiba Standard Player Agent Contract does not have a termination provision, but cannot exceed two years unless renewed by written agreement between the parties. NET provides a select group of professional athletes and coaches with direct access to first-class Contract Negotiation, Marketing, and Financial Services. We recognize the importance of minimizing a client's administrative duties, so that he can focus on his responsibilities to the team. We provide assistance with automated bill pay, relocation, and travel services. Some clients opt to further employ a personal assistant. No. The top money managers and CPAs work for financial and accounting firms, not sports agencies. But, we are happy to refer and meet with prospective service providers. Our preferred CPA is John Flaherty, who has thirty-four years of broad-based public accounting tax experience, including fourteen years with Big Four public accounting firms. Flaherty specializes in providing tax court representation and tax planning to high income and high net-worth individuals, including organization and entity planning, retirement plan design and implementation, as well as estate and personal financial planning. Our unique marketing approach focuses on the combination of private regional marketing specialists, team corporate relationships, NBA partnerships, on-line brand affinity, ticket swaps, and in-house strategies. We recommend that our clients regularly partake in networking opportunities. We do not dictate your choice of trainers, but offer referrals and assistance in negotiating discounted rates and deferred payment plans. Our preferred trainer is Tim Grover, who has a Bachelor of Science Degree in Kinesiology and a Master's Degree in Exercise Science. His Chicago-based company, Attack Athletics, is housed in a new state of the art 65,000 sq ft private training facility and is the home to the NBA Pre Draft Camp. Grover's elite client include stars like Kobe Bryant, Gilbert Arenas, Tracy McGrady, and Dwyane Wade. According to ESPN, "If you spend a day inside the facility during the months in between the end of the NBA season and its new beginning, it's likely that you would see some of the best players in the world on a daily basis." 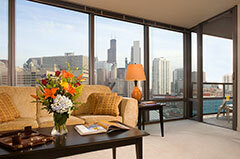 We assist clients in relocation, whether residing in Chicago or elsewhere. Clients who opt to train in Chicago choose between first-class downtown corporate housing and a fully furnished apartment only a block from Attack Athletics. 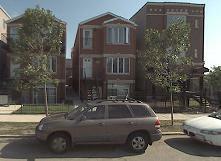 Upon arriving in Chicago, players have access to a rental or dealer-licensed vehicle. As a rookie, would I receive a line of credit? Rookies have access to a bank line of credit from which funds can be drawn. We assist clients in applying for a credit card useful for maintaining business expense records and often required by hotels and car rental agencies. What are the costs of pre-draft training? We now offer an affordable option of an all-inclusive Rookie package which covers housing, accounting, training, and per-diem. We assist uninsured clients in obtaining temporary health and disability coverage. For qualified rookies, before commencing NBA workouts, we coordinate Draft Protection Insurance, which remains in place until a player signs a professional contract. We also assist veterans interested in Career Ending Disability protection. We focus on identifying teams with a probable need at the player's position. In the long run, value is measured not by where a player is drafted, but by the body of work during the player's career. The NBA is a marketing machine, where a high Q Score translates into financial opportunity. Yes. Depending on the marketability of the player and economic climate, shoe deals can include merchandise, annual payments, and royalties. NBA rookies can typically expect shoe and trading card deals. Clients who put effort into public relations and corporate networking strategies are far more likely to garner additional corporate marketing interest. Money and fame do not buy happiness. For many professional basketball players, the sport is their identity and has been perhaps since grade school. When a basketball career comes to an end, so too can a player's identity. We assist in a comprehensive three-step approach to preparing for life after basketball. We suggest that players make continuous progress toward a bachelor's or higher degree. We work with universities to coordinate correspondence or internet courses. We help our players pursue summer internships in an area of potential future interest. Although not normally high-paying, a player can get a head start on experience so that he doesn't have to start at the bottom of the totem pole when basketball is over. Our clients should put both feet forward in trying to make a real difference in the world. One of our unique initiatives, Fame 4 Food, uses celebrity status to auction celebrity dinners, all the proceeds going to charity.